In this article, we're going to look at the process of how to make sauerkraut, including some variations on the basic theme, plus some funky condiments that we can eat with our kraut. By the end of this article you'll be a lacto fermented sauerkraut master, or at least well on the way to it. I'm going to include some pictures and some video to really lay things out in a way that is easy to understand, and by the end you'll be raring to go. If you've never used a crock before, take a look at my article on the best fermentation crock for the aspiring fermentista! 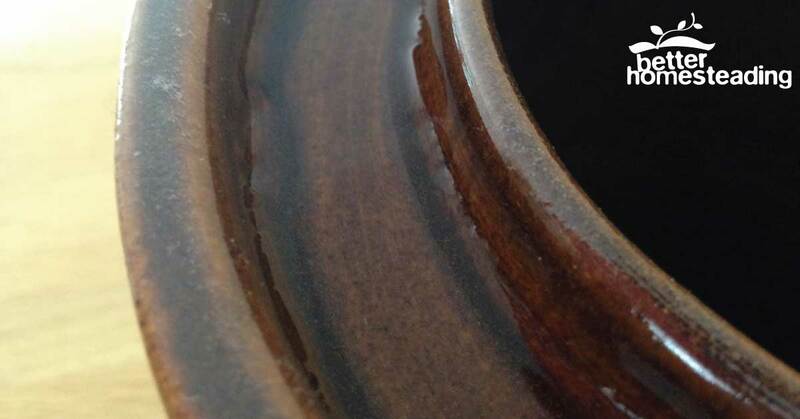 Or if an open crock floats your boat, I've created an in-depth article on the Ohio Stoneware fermentation crock range. Understanding how the ingredients work together is fundamentally important to fermenting vegetables, but also to any cooking/food production really. If you understand the processes, why this goes with that, and why you should omit the 'other', producing a great result gets so much simpler. The wonderful thing about sauerkraut (kraut) is that if you are someone who just hates weighing and measuring, it's the perfect fermented food. One can't just go bonkers and not even have an eye for quantities (I always give measurements in the recipes I provide on the site), but it's not fixed in a hard and fast way. A bit more cabbage than specified, no big deal. Your ferment will still work fine. But What Is Sauerkraut Made Out Of? The only essential ingredients required to make a basic recipe are cabbage and salt. Yep, you can certainly add in herbs and spices, carrots, onions, and indeed, pretty much any other vegetable, but cabbage and salt are your traditional basics. A lot of people would balk at the idea of eating raw cabbage. In it's rawest state, it's not that tasty. 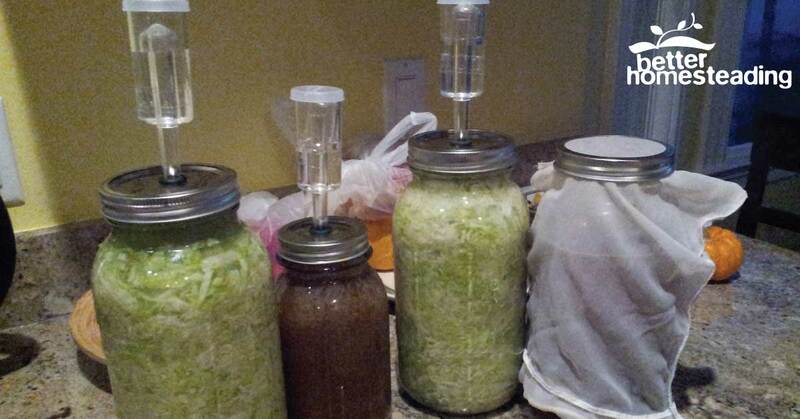 But after the fermenting magic takes place, 'raw' cabbage becomes a delicious condiment. Sauerkraut is generally eaten as a condiment, although I did go through a stage of eating a ton of it with almost every meal. There are a wide variety of cabbages out there. Red, white, green, Napa, Chinese, the list is almost endless. Summer and fall cabbages. Cabbages are essentially a cool climate vegetable. They can all work great for making sauerkraut. If I had to choose, I tend to prefer the crispy white or red cabbage as my go-to choice. I think the crunchiness remains once the ferment is complete. I tend to prefer a little 'bite' to my sauerkraut. But the choice is yours. Experiment! For the purposes of this kraut making guide, let's assume a head of cabbage weighing around 2 lbs. This tends to be about the weight of a medium sized, densely packed cabbage. If you are using a less dense type, then just adjust the quantities approximately. You might need 2 small heads. I believe that if you are going to make kraut, it's worth making a good amount each time. The process of shredding and packing into a crock or jars doesn't require a lot more time whether you are doing one 2lb head or two. The prep and clean up is around the same. For your information, I use a 5 liter fermentation crock and this can store 2-3 heads of cabbage (depending on size). If you just want to try one head on your first attempt, go for it. This might seem like a little too much information, but it's worthy of noting. Getting good quality cabbages as the basis for your kraut antics is sensible. Who'd want to use sub-standard ingredients? If you want to make a big batch of kraut (reasons to do so are mentioned above) then you need to be looking for the freshest cabbages. During the growing season, cabbage should be firm, shiny, with crisp leaves. Older cabbages which have been stored for sale in the off-season can often be dry and flaccid...Yikes! Checking the outer leaves for signs of damage, cracking, bruising, and any other 'injuries' that make you think this isn't fresh or well stored. Avoid damaged or plastic wrapped cabbages wherever possible. Ideally, if you get to love yer kraut, growing some cabbages in the garden and harvesting them at the perfect time is a wonderful way to ensure you maximize the nutritional content of your sauerkraut. But don't let a lack of a garden stop you, just aim for the best raw ingredients you can and get going. 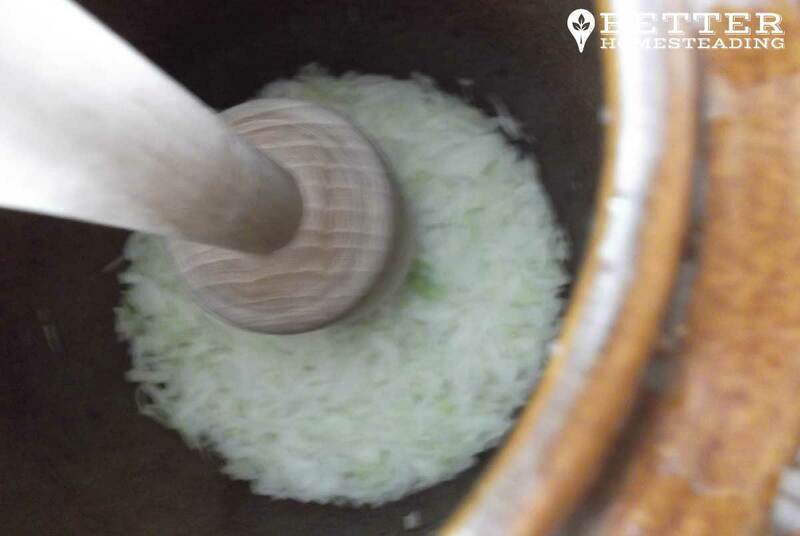 Although salt is not strictly essential for fermentation to take place, it is a necessary ingredient for making sauerkraut and other fermented vegetables. 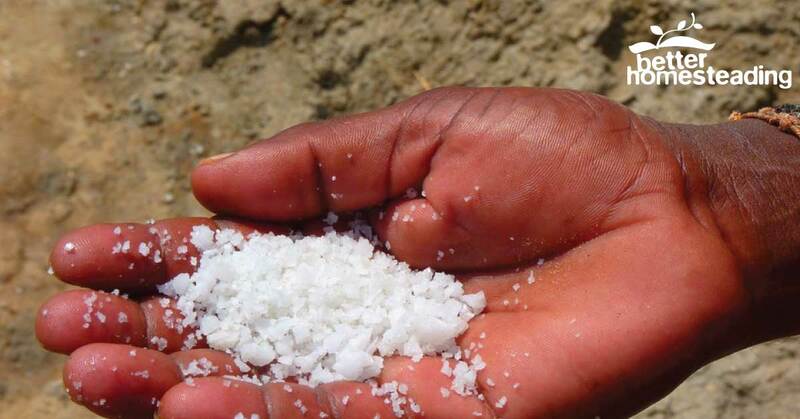 Salt acts as a preservative, it inhibits the growth of harmful bacteria while allowing the healthful bacteria to thrive. 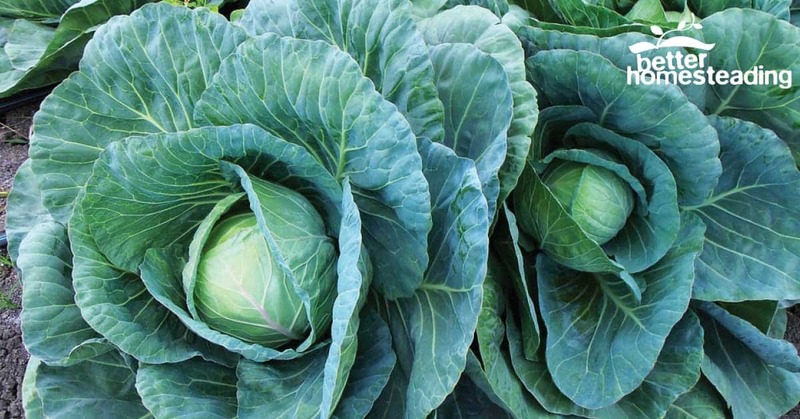 Salt, when added to cabbage and other vegetables, also causes the leaves to release their stored water, causing them to become soft. Check out this article on the best salt for fermenting. Don't panic, most salts will work fine, just avoid highly processed salt with additives and anti-caking agents. The general 'rule of thumb' is 1 tablespoon of salt per 2 lb head of cabbage. Ok, so let's get into the bare bones of making your first batch of kraut. I'll be discussing spices and herbs you can add to customize your kraut recipe, and also some other veg you can add to give it some different flavors and a splash of color. Let's get started. If you've never made sauerkraut at home before, or if you have some experience but just want a refresher, I've listed below (with pics) the process I use to make incredible kraut every time. Here's a quick video to show the process, which I'll be expanding on below. Nothing fundamentally technical here. As with any form of cooking, ensuring some basic hygiene, wiping down surfaces, washing out jars, fermentation crock and utensils in some warm soapy water, rinse and leave to drip dry. That's all that is required, no need to sterilize jars. Rinse the cabbage and remove any dirt. No need to add some sterilizing liquid to the water. Just wash off any dirt and dust. Then carefully remove the outer couple of leaves and place to one side. We'll be needing those a little later. If the very outer leaves are damaged, throw them away and retain the next inner set of leaves. For sauerkraut and other fermented products, the finer the shredding, the quicker the fermentation process, and the better the end result. Imagine huge chunks of cabbage core in your kraut, it's not going to be pleasant to eat, and it's unlikely to be properly fermented. I recommend this approach. Cut your cabbage into quarters and then chop out the dense, woody core. A large sharp knife makes this really easy. Throw those hard cores into a bin to throw on the compost pile if you have one. On a sturdy chopping board, finely shred the cabbage with the knife. Don't worry if it's not always uniform in size, near enough is good enough. You certainly can use a food processor to shred, but I have found that although it seems less work, by the time you have shredded a 1/4 cabbage at a time, emptied the processor bowl, and done this 8 times for 2 heads of cabbage, a knife is actually a lot easier. I've found a food processor more long-winded than using a knife for shredding my vegetables. Another option, once you really become a kraut master, is a cabbage shredder. This is like a large mandolin. You simply run the cabbage backward and forwards over the blade and it shreds it quickly and easily. Awesome for really big loads, but for a single family fermenting operation, a knife still wins for me. It's certainly possible to add too much salt. I like to add salt as I place the shredded cabbage into a bowl or plastic tub. 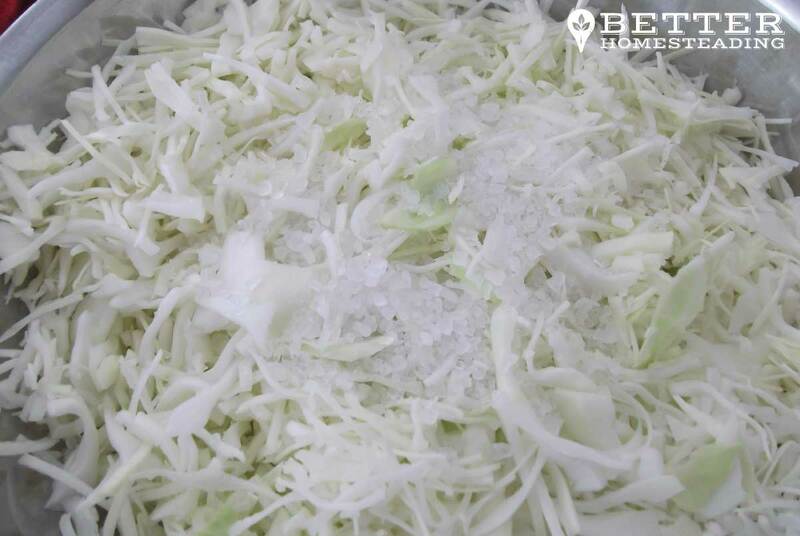 By sprinkling it over your shredded cabbage a little at a time, it's automatically well mixed and begins the process of breaking down the the structure of a cabbage and releasing the water that is held within. So, as an example. For 2 heads of cabbage I would put 2 tablespoons of salt into a small pot right at the start. I'd quarter and core my cabbage. Then as I shredded it and threw it into a large plastic bowl, I'd sprinkle some of the salt over as I went. Taste your cabbage/salt mix as you are making it. If you mix it with your hands, have a taste and the salt is overpowering, just add some more cabbage and add no more salt. Test again at the end. The 'prescription' I have given you already is pretty universal and creates a kraut that is not overly salty. But tastes vary so play with it a little. It's certainly worth creating a little recipe book for your favorite fermented vegetable recipes. Having something to go back and look at is super useful. Experience is great, in the end you'll be able to do all this stuff intuitively, but still, having some fave recipes saved for future use is pretty nice. Always taste the cabbage as you add salt. Some salt is better than too much salt. 1 tablespoon of salt per head of cabbage is an average that works most times. You may find that for different cabbage varieties you need to vary the salt, having a record of what worked before, and what wasn't so great will make you a much more successful kraut-meister in the long run. After washing your hands, you can dive in and start mixing and squeezing the life our of your shredded cabbage and salt mix. By turning and squeezing, you are helping release the water from the cabbage. Almost immediately, the cabbage will become limp and start to glisten. It will quickly become wet as more and more water is released. You'll see water starting to pool in the bottom of your container. If you are doing a large batch, massaging the cabbage can be hard work. It often takes 10 minutes or so of vigorous hand work to complete the job (hmmm, that sentence just sounds kind of wrong to me). If you are feeling lazy, or do not have strong hands, just covering the container and leaving the mix for 30 minutes, returning, mixing and resting again can get a lot of the early work done for you. Letting the batch sit when the salt is mixed in is a great idea for larger batches. In fact, if you keep mixing every hour or so, after 6-8 hours, the cabbage is limp and there will be a large amount of brine resting in the bottom of the bowl. Let the salt do the work! 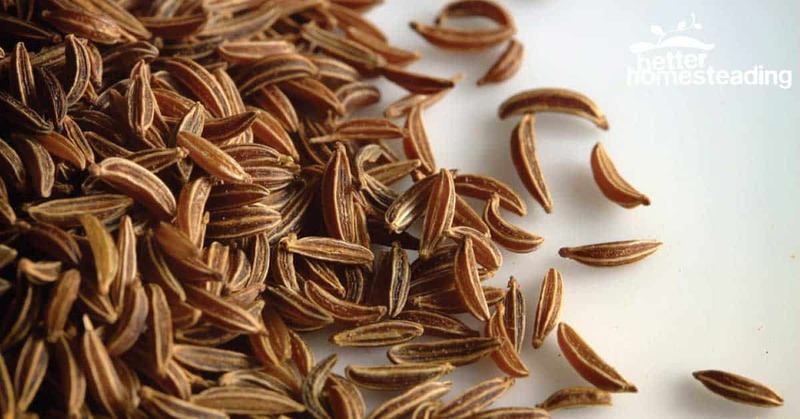 I'd start with the traditional caraway seeds and then experiment. It's pretty hard to mess things up. What Happens If You Don't Have Enough Brine? 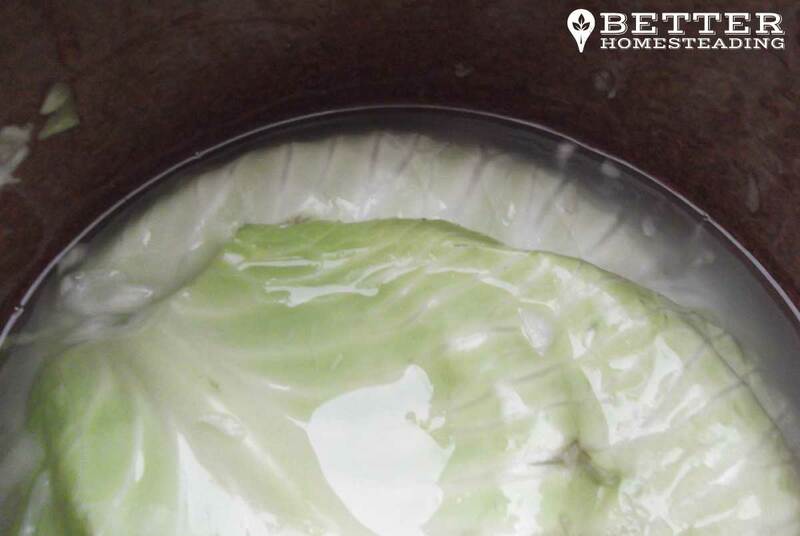 The brine solution in the bottom of your container is ultimately going to be poured over the cabbage that is compressed into the crock or jars, just enough to cover the surface of the vegetables and keep air from getting to them. Depending on how much water your cabbage was holding, or your success at releasing it through manual massage or the 'mix and wait' method, you may or may not have enough brine to cover the surface in the crock. No panic! 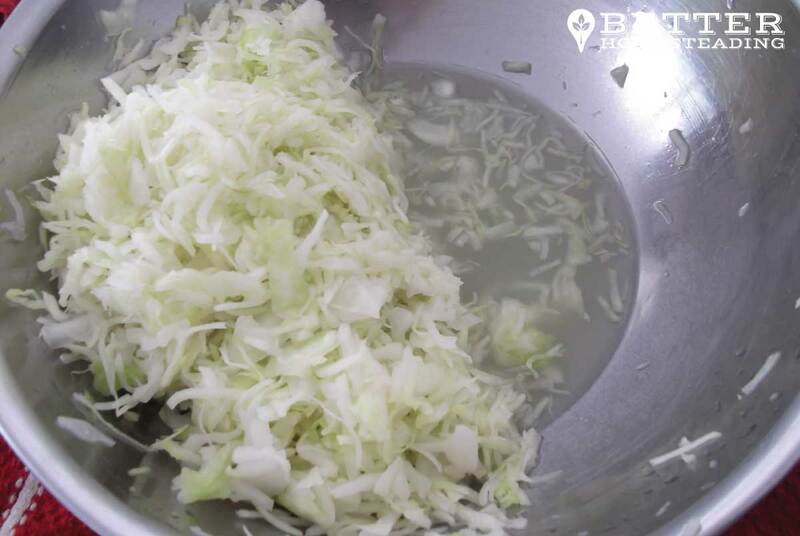 So start by pouring any residual brine water from the container over the compressed cabbage in the crock. That is the starting point. 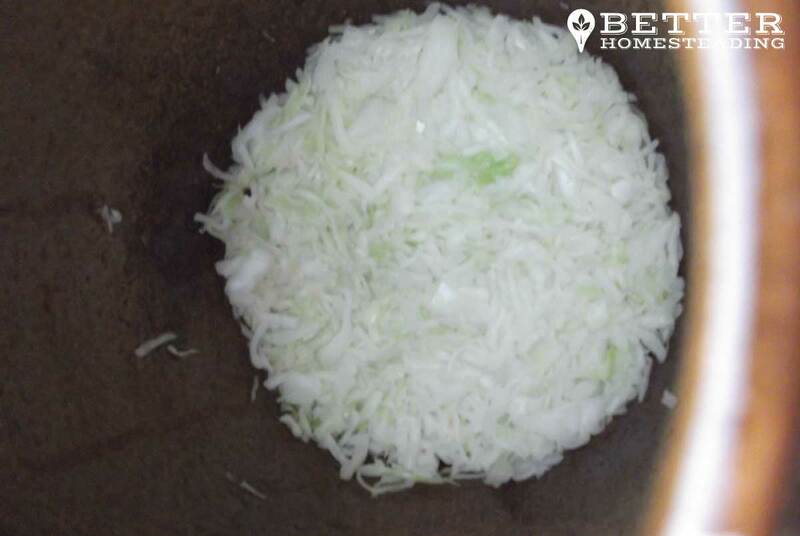 If you have very little water in the container, but feel that the cabbage is not really salty enough, you could add some more salt and wait for the water to be released. However, I'm all for compressing the shredded cabbage into your crock, see what the liquid levels look like, and then fixing it at that point. Compress your cabbage into the crock with a cabbage pounder. The kraut will release more water as you do this, and as long as there is enough brine to adequately submerge the cabbage, all is well. If not, you can top of the crock with a little filtered water. 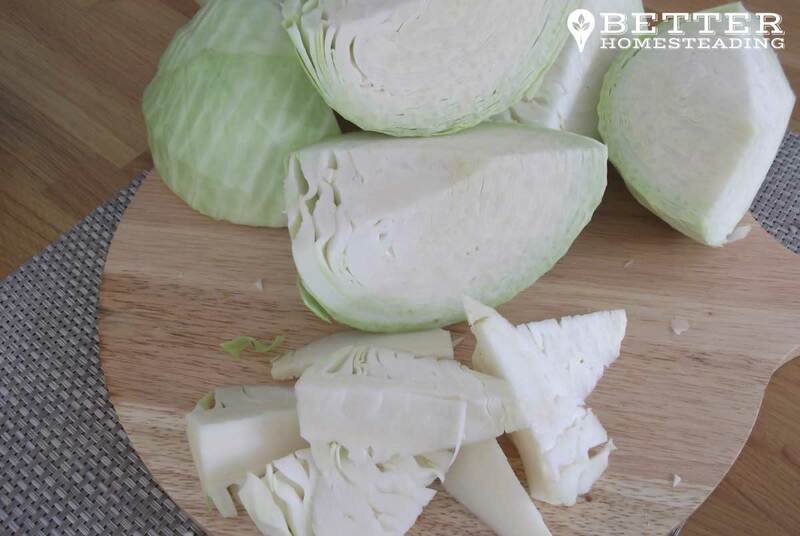 Ideally adding seperate brine water to the mix is not always the best idea, it has been known to cause discoloration of the cabbage. You may have some other liquid that you would like to use to flavor your kraut. Freshly squeezed lemon, lime, grapefruit or orange juice can work well. You could also add other vegetables that release a lot of water. Onions, turnip, grated carrots or beets. Grate or shred them, salt lightly and massage as before. Add them, and the water to the crock. Some people like to add whey to their kraut. I have certainly done this, although it is not essential at all. It's hard to find good quality raw whey. If you make your own kefir milk and let it separate a little, there is plenty of whey on hand to use, but for now, I would not use whey, certainly not until you have your kraut skills off to a fine art. 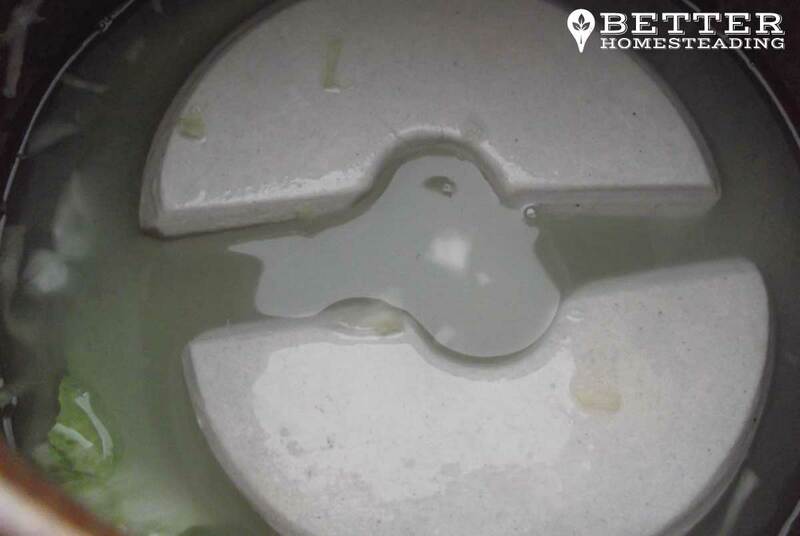 Your bowl may well have large quantities of water at the bottom, and it might look like it will never all fit into the crock. Start slowly, adding a handful of the wilted cabbage to the crock, pressing it down with your fist of a cabbage pounder. Any flat bottomed utensil will do. A potato masher does a good job. As you add more, compress and repeat, you will notice more and more liquid beginning to rise. This is perfect! Your crock is full when there is a gap or around 4 inches between the top of the kraut and the rim of the crock. You'll want to keep this 'headspace' as the kraut needs room for expansion. Over time, more liquid will be released and gasses will build up and be released via the water gutter and lid mechanism. Don't forget, you will have some weighting stone which will also need to be placed in the crock. Fill it too much and you are guaranteed to have liquid on the counter top. Before adding any extra liquid and the stones, take the 2 cabbage leaves and lay them over the surface of the compressed kraut in the crock (that's a nice little phrase ins't it?). Try to push the edges of the leaves down the shoulder of the crock with your fingers. This set of leaves is often referred to as the 'primary follower'. What you are trying to do here is preven the shredded cabbage from rising to the top and poking it's head above the surface of the water. Using those whole leaves or not, won't make or break the operation, but it's just another nice little trick to keep the kraut below the surface of the water. Next up, add the weighting stones, known as the 'secondary follower'. See a theme emerging here? Lay these in on top of the cabbage leaves. If you have filled your crock to perfection, you will need to press these stones down and they will wedge into place just below the neck of the crock. If the cabbage leaves are well below the surface of the liquid, call it a job well done. If not, add a little of the remaining brine solution (or filtered water, fruit juice) to top up so the liquid just covers the tops of the stones. That's it, perfect! Ready to stick the lid on. If you are using a crock for fermenting, you'll most likely have a water gutter that the lid sits in. Take the crock to the final resting place where it will sit during the ferment. Then half fill the gutter with water, place the lid and have a cuppa. Ideally, I like to place the whole crock in a deep sided pan or flat-bottomed bowl during the ferment, as water may bubble out and run down the sides. This is a precaution, it doesn't always happen. I like to open the lid every other day to just check on the level of the brine, and makes sure it's not either too full, or has dropped and is at risk of exposing the cabbage leaves. What If You're Using Jars Instead Of A Crock? 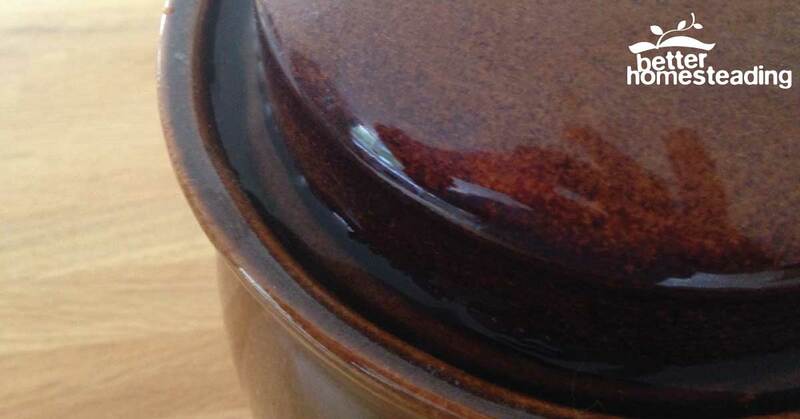 If you are using proper fermenting jars, you will likely have a lid with an airlock that is filled with water, and allows gas to escape while preventing air entering. There are other ways to keep the air out. More on making sauerkraut in mason jars in a moment. Where To Place The Crock Or Jars? Ideally, keeping a crock or jars in a relatively dark place, certainly out of direct sunlight is preferred. A ceramic crock obviously does not let light in, and direct light is more of an issue with clear jars. Avoiding sunshine heating the crock or jars is important though. The recommended temperature for fermenting sauerkraut in between 55-75 degrees F. I like to take a middle of the road approach and aim for around 65 deg F. At this temperature, the fermentation is slower, and the kraut retains more or a crunch. It also develops great flavor. You may choose to get the process going for a few days at the warmer end of the scale, and then move the crock to a cooler location to allow the process to slow. But not too cool. Anything below around 45 deg F tends to slow the ferment so much it may as well be in the refrigerator. Once your wonderful kraut ferment is over, you have a couple of choices, depending on what you initially fermented it in. 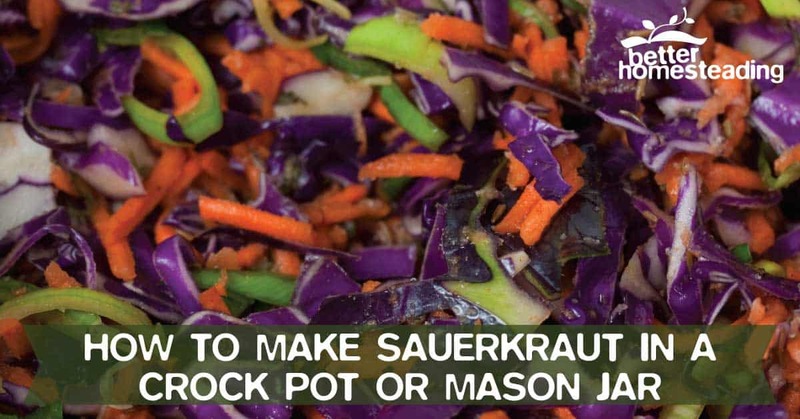 If you've used a crock, then putting your sauerkraut in a jar or tow is the next step. Kilner jars like these in the picture below (on my kitchen counter) or mason jars, you will need to wash these in hot soapy water, rinse and allow to drip dry. 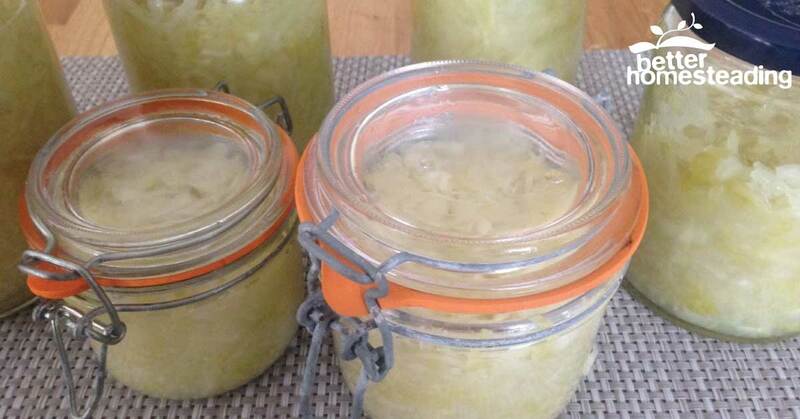 Then either with a plastic glove or non-metallic spoon, fill the jars with the fermented sauerkraut. As before, use a cabbage pounder or similar to press the kraut into the jars. We're looking to have a little liquid over the top of the cabbage before we put the lids on. Store the kraut in a cool dark place or in a refrigerator. Ideally, if you leave it out of the fridge, that 45 deg F or below temperature will pretty much halt the fermentation process in it's tracks. The kraut can last for months with the lids on. Once opened, I like to eat it within a week. If you see fuzzy mold, throw it in the bin. Mine never lasts long enough for that to happen. That pretty much sums up the process for making sauerkraut. Whether you do it in a German style crock like I do, or a mason jar...like I used to, the basic process is the same until we get to closing the lid and omitting oxygen from our batch. The cool things about jars is that you don't need to transfer the kraut to separate storage vessels once the fermentation is over. You can just screw the lids on and put them in storage. Hint: I still prefer the crock, it's much more versatile in my view, and it just less fiddly. There are a couple of methods to do this when using jam jars or mason jars. Let's look at them now. When it comes to fermenting sauerkraut in a jar, you have two realistic options to keep the air out. 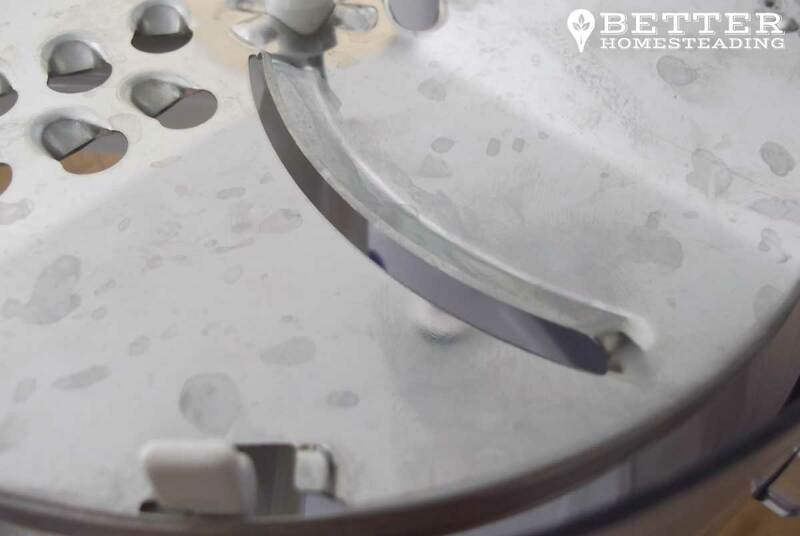 Option 1 - Use fermentation air locks or special fermentation lids for mason jars that allow gas to escape by bubbling though water (the same as people use in wine or beer making. Option 2 - Use some form of weight to keep the cabbage below the liquid level in the jar. Plastic bags partially filled with water work great as this video shows. Fast forward to 6:00 minutes if you want to see exactly how and can't wait!!! I've added a few frequently asked question about making sauerkraut below, I'll continue to add to these so you have a great troubleshooting resource. Your kraut is in the crock. Exciting stuff, but when will it be ready? This depends very much on temperature, but if you keep an eye on your crock (the lid in particular) you should see definite signs of fermentation occurring within a day or so. The lid of the crock will rattle as gas tries to escape. Vegetables with a higher sugar content also ferment faster as the extra sugar provides a great source of food for the bacteria in the jar or crock. If you look carefully, you will see bubbles making their way from under the lid and bubbling out through the water. If you are using a jar with an airlock, bubbles will be seen bubbling to open air, and rapidly rising through the kraut. It's exciting indeed! How Long Does Sauerkraut Take To Ferment? There are really a couple of ways to tell if your sauerkraut is ready. One is acidity, levels below a 4.6 PH is defined as 'done'. Most people are not going to be testing PH though, so taste and look plays a vital role. If you like it super tangy and sour, it could take a few weeks. But for a smallish crock during the warm period of summer, 3-5 days may be all it takes. At 65 degrees, 20 days is a good rule of thumb. How does it look? - The cabbage (assuming a white cabbage) should look somewhat cooked, be translucent in color with a shine to it. It should be relatively soft but with some crunch when you bite it. How does it smell? - It should smell slightly sour and tangy. How does it feel? - Firm but sort, definitely not slimey. How does it taste? - Sour and a little pickled, but without the strong vinegar taste. When you bite through there should be a little crunch, soggy kraut isn't that nice. 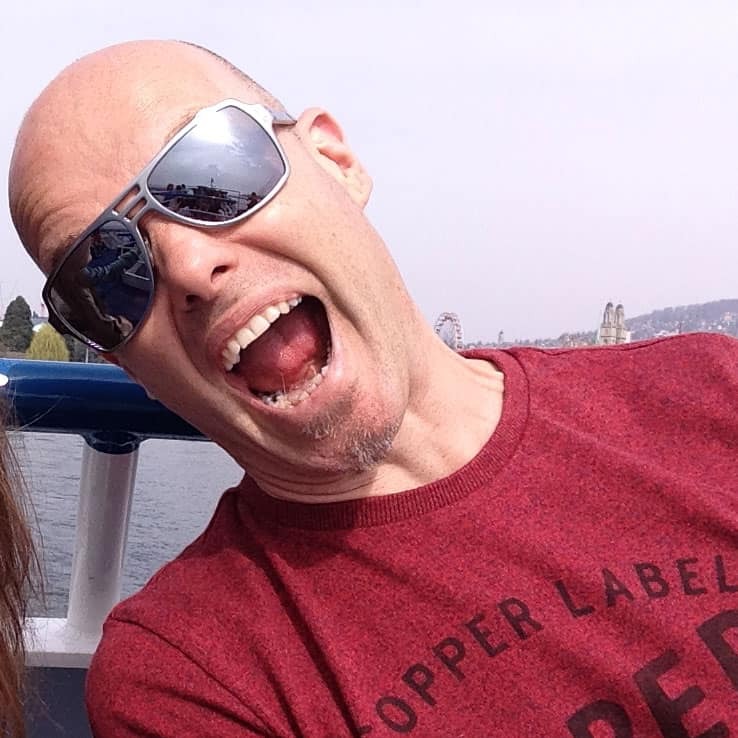 Nice article Steve! I have a question if that’s ok? Do you have any ideas for making my sauerkraut a little more interesting. To date, I’ve only really used white or red cabbage and nothing else. I would like to throw in some other flavors, make it look a bit more interesting. Any ideas? Cheers for all your efforts, I’m subscribed to your email list now, looking forward to getting updates as you write more articles. Yeah, when I started I was doing a pretty minimal recipe, but then I began using caraway seeds which actually make for a really nice simple kraut. With red cabbage, I tried adding shredded carrot, was fine but you couldn’t see it as the cabbage dyed everything. Carrot goes nicely with white cabbage, I often add some onion and garlic too.